Tyre is old. It was already old when the well-greaved Achaeans butchered the sons of Troy. Its purple has died the the robes of kings since the bald rulers of Uruk battled the bearded men of Akkad. Some even say that before men dwelled on the Earth, that gods made their home where its walls now stand. It is here, the sorcerers of the East say, that man first took fire from those divine giants. Though it is old, it is not invincible. Though the purple men of Tyre have long given their children to their horrid fire god, their city has been sacked times beyond counting. The Pharaohs of Egypt and their rivals the Hittites destroyed it numerous times, as did the kings of Assyria and Babylon. Alexander utterly ruined the city, and his successors squabble over it to this day. The current city is a bizarre mixture of Greek and Eastern architecture, a perverse reflection of its Seleucid overlords. 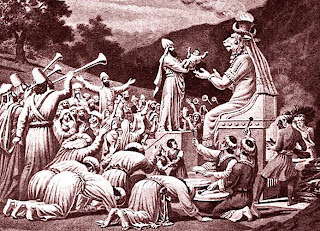 A Greek now resides in the palace of the King-Priests of Moloch. They call him a Satrap, a term that is as foreign to the people of Tyre as it is to the Greeks who rule it. Its markets are filled with goods from the Pillars of Hercules to the Indus. A hundred tongues are spoken within its walls, koine being primarily used to facilitate trade between the conquered and their conquerors. The city has much to offer adventurers, rogues, and mercenaries. 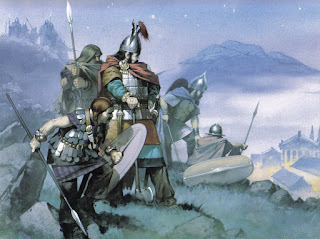 The satrap is always looking for men to help quell the brigands that constantly maraud further inland. Many wealthy sorcerers make their homes in the shadow of the Purple City’s temples, and of course the ruins said to lie below their city are rumored to be beyond the imagining of mortals. Player characters are assumed to come from outside of the city. 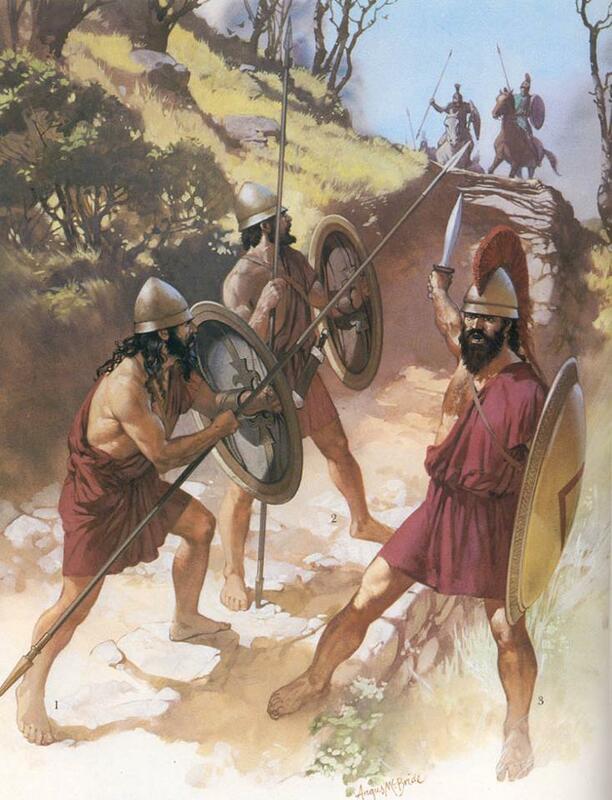 They are likely Greeks, or perhaps Romans. Such characters may either be Fighters or Magicians. These work as per their description in the Swords & Wizardry White Box, though Magicians must learn new spells either from scrolls or from a tutor of some sort. Additionally, a number of character types are described below that are also available if the character meets the appropriate requirements. Benefits: When wearing light or no armor and either alone or in a group of other barbarians, a barbarian surprises opponents on a 1-3 on a 1d6. They may also follow tracks and spot traps in the wilderness on a roll of 1-2 on a 1d6. 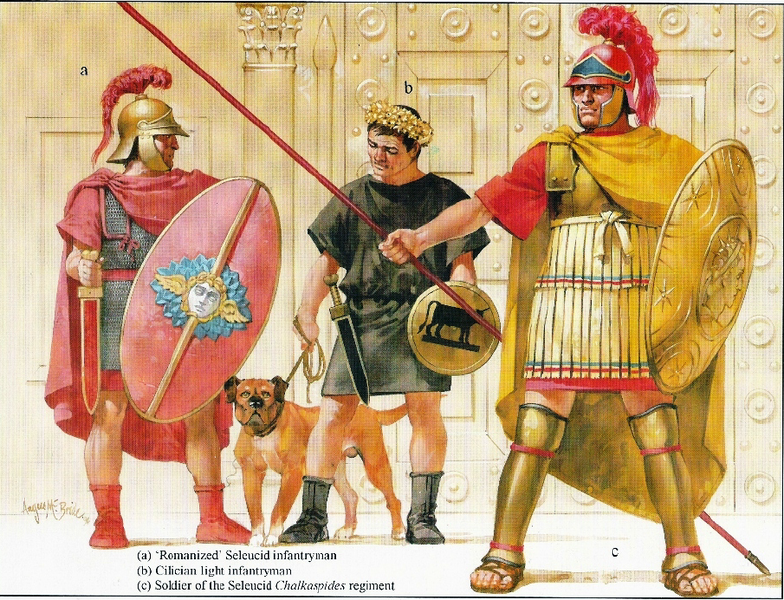 This increases to 1-3 if in a forest and 1-4 if in either Gaul or Germania, depending on the homeland of the Barbarian. Character Advancement: Barbarians may reach any level as a Fighter or up to level 4 as a Magician. They may advance higher if their Wisdom is 16 or greater. Character Advancement: Immortals advance as both fighters and magic users, splitting experience between each class. They must decide which class they will be at the beginning of an adventure and will remain that class for the remainder of the adventure. They may only learn spells from their strange cult of fire and water - which is distinct from the fire god of the Phoenecians. Benefits: Spartans with an ally at either their left or right flank gain a +1 bonus to AC. In addition, anything that would allow an adjacent ally to gain a free strike at a target, such as the opponent fleeing in terror, grants the Spartan a similar attack - but only if he is using a spear. Spartans cannot use this ability if their ally gains the attack through using Follow Through. Character Advancement: Spartans may only advance as Fighters. Most adventurers spend their early careers in Tyre’s undercity, though many of these careers are cut short by the horrors that lurk within. While the undercity is a great, sprawling labyrinth it is ultimately divisible into a number of distinct areas. Some of the most well known to adventurers - either because they are comparatively well trafficked or because of the numerous legends that surround them - are described below. The people of Tyre worship many strange gods that horrify the Greeks and the Romans. Mot is one of them, and his worship was outlawed after Antigonus reconquered the city. The catacombs are his most sacred shrine, but their location remains undiscovered by authorities. Unlike normal catacombs, whose purpose is to preserve the dead, these were meant to provide food for Mot’s slavering ghoul-priests. It is said that much of the wealth of the cult was stored within as well. 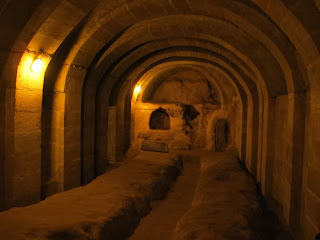 This network of tunnels was built by the people of the city over a long period in order to offer a retreat during the sieges that so characterize Tyre’s history. They network is now so complicated that even those who regularly use them only know but a small portion of the twisting tunnels. During times of peace, it is primarily utilized by the various criminal gangs that plague the city - though even Seleucid authorities have figured out this trick and sometimes send patrols into the depths. It is rumored that a long tunnel connects the island portion of the city to the mainland, but no explanation is offered as to why Alexander did not find this and make use of it instead of building his causeway. 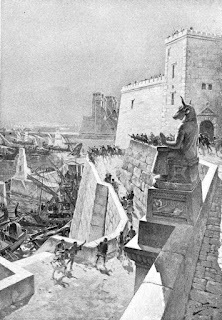 While the ultimate fate of Nephren-Ka, the infamous Black Pharaoh, a demon who ruled among men, is unknown, some sources believe that he died during a battle in what is now the mainland portion of the city. These sources state that the people of Egypt feared interring their king in their homeland, for they thought that his presence would taint the Nile and cause the water to thicken and become a foul toxin. Instead, they made for him a tomb on the spot where he died, and buried his war loot with him in hopes that his ghost would not follow them back to Egypt. This is believed to be the holy of holies for the Phoenician god Moloch - a baleful god of fire and hate. 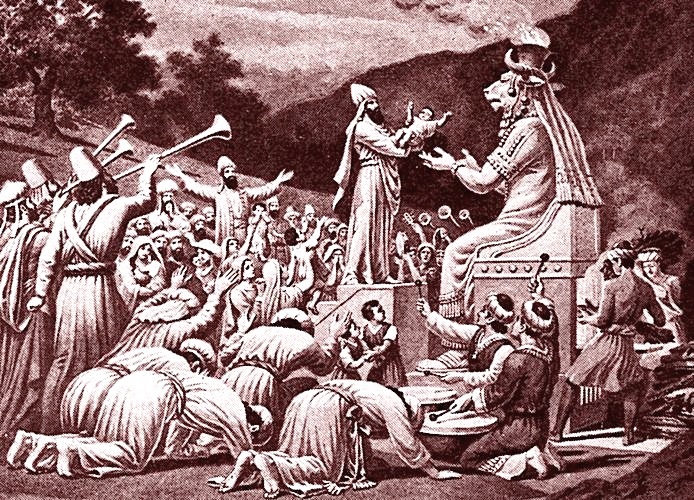 It is said that the King-Priests that ruled in the days before Alexander took all of the wealth from their conquered enemies and smelt it into huge statues depicting their god as a fiery bull. Thus there is supposedly one of these statues for each people the Phoenicians defeated in battle, of varying size based on the amount of wealth those people carried with them. It is believed that in the deepest parts of the undercity, there lies a great cache of treasure and weapons created by the gods during their wars with the Titans. However, few have made it to the depths where the Treasure-House can allegedly be found, and fewer still have any idea what sorts of things are contained within. Goddess of the hunt, the Moon, and fertility, Artemis has taken on a number of strange aspects since the Greeks made contact with the peoples of the East. 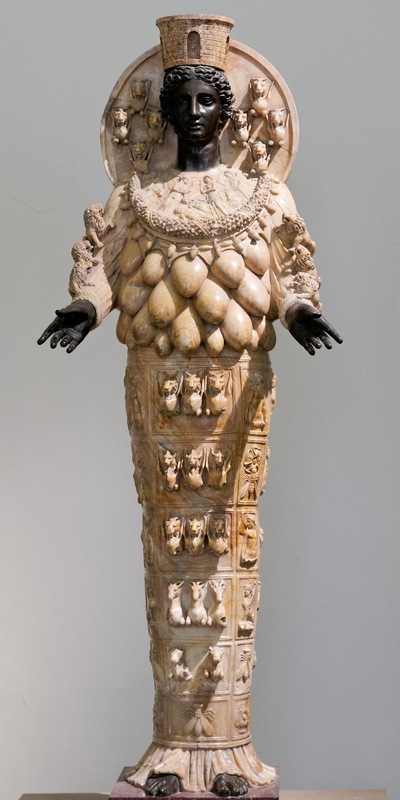 She is typically depicted as a woman with many rows of breasts, and some of her statues are known to lactate during cultic rites. 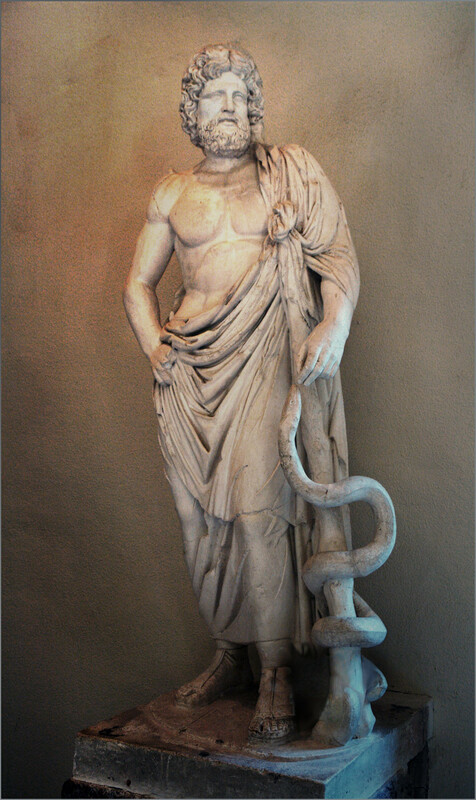 Son of Apollo and god of the healing arts, Asclepius possesses a small temple in Tyre. His cult is surprisingly popular despite the modest size of the aforementioned temple, and many a cockerel has its throat cut in his honor. Dagon is a strange sea-god venerated by the Phoenicians. 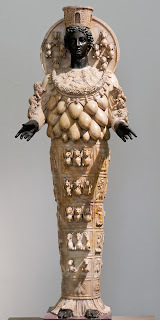 Unlike Melqart (see below), the Greeks do not conflate Dagon with their god Poseidon. Dagon is a god of fish, darkness, and decay and his spells and cultists reflect this. 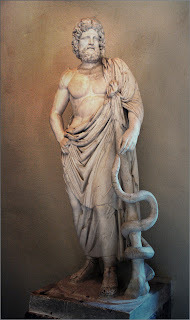 Melqart is the god of the city of Tyre, though the Greeks assert that he is none other than Heracles, who made his way to the Levant during one of his labors. The spells normally associated with him are protective, but he does have some of a more savage nature. 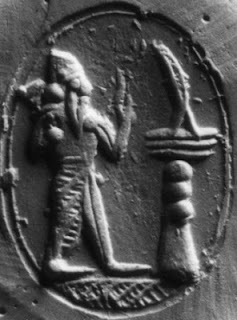 Baleful god of fire and human sacrifice, Moloch is the chief god of the Phoenicians. These people give up their children to his horrid fires, a practice which horrifies other peoples - though it is especially sickening to the Romans. In addition to these cults, a number of sorcerers exist who may also provide spells; however, they rarely do so without a price. The most famous two in the city are, of course, Ningauble and Sheelba; however, the Scarlet One, He of the Thousand Mouths, Ajaxos the Mad and a hundred others make their homes within the city. Sadly, disease is a constant problem in the World of Nightwick; however, the diseases of that strange realm do not function like those of our Earth. They are caused by miasmas - malignant smells and bad air that erupt from the earth to torment mortals. While normally the result of strange natural events such as earthquakes or bizarre stirrings in marsh or river waters, they can occasionally be the result of supernatural events such as curses or the arrival of some demon or malicious form of undead. Whenever a character enters an area currently possessing a miasma - either due to natural or supernatural occurrences - they must make a saving throw or contract the disease. Bonuses against poison and death effects apply to this save. Wearing some form of protection, typically a face mask filled with pleasant smells such as incense or flowers, may afford a character a +2 bonus to the save. 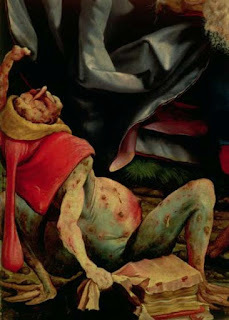 Bishop’s Evil affects the flesh, causing it to wither and decay as though the sufferer were dead. Stage 1: The character feels no pain, but also can no longer regain hit points through natural healing. Make a saving throw each month or advance to stage 2. Stage 2: The character’s flesh begins to rot on the bone. Character may no longer receive magical healing, with the exception of the Cure Disease spell. Character also gains a permanent -1 penalty to reaction rolls. Make a saving throw each month or advance to stage 3. Stage 3: Any hits now made against the character now immediately go to the Death & Dismemberment table as though they had 0HP. Character gains a permanent -2 penalty to reaction rolls. Characters must make an additional save each month. Failure indicates that they may no longer be cured by the Cure Disease spell. Devil’s Fire causes fever, sweating, foamy saliva, and eventually homicidal madness in its victims. Stage 1: Character’s thoughts become cloudy and delusional. -1 to all d6 based rolls and -2 to all d20 based rolls. Make a saving throw each day or advance to stage 2. Stage 2: Character becomes horrifyingly violent, and will react to all situations with uncheck aggression, though, strangely, not against other sufferers of the disease. Character may also possess other delusions. Must check every two days or advance to stage 3. Stage 3: Save or die. A successful save means that the character has slipped into a coma. Must make a new save every day. The Flux is an awful disease that affects the bowels. It is particularly common in crowded cities, and those conditions give a -2 to the initial save to catch the illness. Stage 1: Must make a save each hour or have to spend a turn “resting.” -1 to all d20 rolls. Must make a save every week or advance to stage 2. Stage 2: Character can barely move and do little else other than either sleep or defecate. If somehow stirred to action, -2 to all d6 rolls and -5 to all d20 rolls. Must make a save each week or advance to Stage 3. Stage 3: Save or die. Success indicates that the character is still alive, but must make a fresh save every day until some form of relief can be provided. The Red Death is the most terrible disease known to the Dark Country. It is carried by a malevolent creature whose precise nature is unknown, but it is said that he appears as a monk dressed in a blood red habit. This disease has been known to depopulate entire villages. Stage 1: Character gains strange, red blisters across entire body. These are immensely painful and incur a -2 to all d6 rolls and a -5 to all d20 rolls. Must make a new check each day or advance to stage 2. Stage 2: Character begins to sweat blood. Pain is all encompassing and the character may do little other than lie down and shriek. Must make a save every day or advance to stage 3. Stage 3: Save or die. If save is failed, character not only dies but also has all of their blisters burst in a horrible spray of blood. This creates a new miasma centered around the deceased. Success indicates that the character is still alive, but their sores have begun to weep, causing contraction of the disease for anyone touching them. This save is made each hour. St. Gax’s Itch is a comparatively minor disease that causes skin inflammation, welts, and terrible itching. Stage 1: Character suffers from mild itching, causing a -1 to all d20 based rolls. Make a save once a week or advance to stage 2. Stage 2: Character is covered in itchy welts and shingles. -1 to all d6 rolls and -2 to all d20 rolls. Make a save once a week or advance to stage 3. Stage 3: Character is now permanently scarred - gaining a -1 penalty on reaction rolls - but otherwise acts as stage 2. Witch’s Dance is a strange disease that causes those afflicted to twitch and contort. Stage 1: Character has mild difficulty with motor skills. -1 to all d6 rolls and -2 to all d20 rolls. Make a save each week or advance to stage 2. Stage 2: Character now has extreme difficulty with motor skills. Must make a save in every new situation or fall down and convulse. Make a save each day or advance to stage 3. Stage 3: Character now has no control over their own body. Constantly shift into new, more bizarre and awkward positions. Must make a save every hour or take 1 damage from the extreme nature of these positions. If restrained, character must make a new save each day or break through the restraints. The Hell is Wrong With this Guy? I spend quite a bit of time trying to make hirelings in my game “memorable.” The easiest way for me to do this, and therefore the one I rely on the most, is by making them awful people. Inspired by this post over by Middenmurk, as well as my creating different classes of hireling for Uz, I decided to make a set of tables that would automate this process to allow me to churn out bug-eyed, fanatical weirdos for my Dark Country game. This is untested, and if the results are too wonky I might just go back to personalizing each one between sessions. These tables are intended for the sorts of hirelings that PCs take with them into the dungeon. Alchemists, smiths, quartermasters, and the like need not be created using these rules. If the need arises, I will create similar charts in order to make them deranged sickos too. The guidelines for recruiting hirelings are likewise only designed for hiring individual psychopaths. The purchasing of mercenary companies, while a common practice in the Dark Country, requires a great deal more bickering over contracts and haggling over rights then I really want to deal with in this post. A settlement will have a number of hirelings available at one time based on the chart below. The number generated is the total number available until a fresh crop of young settlers arrives. This could mean that the hirelings could be exhausted from a settlement for quite a long time in some of the more remote areas of the Dark Country. For each available hireling indicated, roll on the tables below to determine what’s wrong with the hireling and the type of hireling it is. Nothing. Subtract 2 from their base morale. Suicidal. Is willing to be paid at a daily rate (1/30th of the monthly one provided). Hobbled. Moves as though wearing plate regardless of armor. Branded. Marked with the coward’s - or probably heretic’s - shame. One Armed Man. Cannot perform any activity involving two hands/arms. Absent Minded. If asked to perform a task outside of the supervision of a PC - such as guarding the horses or securing a rope - must make a morale test to see if it gets completed. Mute. Doesn’t have a tongue. Can at most muster a voiceless hacking as a feeble attempt to raise an alarm. Mumbler. PCs can’t understand a word he says, though strangely most NPCs can. One Eyed. Surprised on a 1-3 if left as a guard. Hook Hand. Can only use hand weapons, but can also make attacks with his hook. Openly Heretical. Likes to give strange sermons loudly and in public. Obsequious. Always sickeningly deferential, suspiciously so. Penitent. Scourges self for some unimaginable sin. Permanent -1 to HP. Filthy. Smell may attract monsters. Murderous. Must make a morale check or kill any captives the PCs might attempt to take. Clepto. Tries to secret bits of treasure away from the PCs. Hideous. This fellow is especially ugly. It is very unpleasant. Scheming. Really working for the “Bad Guys,” or a set of bandits that is conveniently laired nearby if you don’t have any Bad Guys that are applicable. Plans to help them ambush and kill the PCs. Listed below are the types of hirelings typically available in the Dark Country. Wages listed are for a typical month, and use the new reckoning of Dark Contry currency. Thus a guilder (abreviated k) is worth 20 groshes (g) and 240 pennies (d). A grosh is a silver coin worth the equivalent of a silver piece in LotFP or a gold piece in most other forms of D&D. Not all of the types of hirelings are available in every settlement. The table is but an example, and larger settlements such as the Seven Cities will have considerably more types available. The referee may also change these tables to represent changes in the population either through new settlement or player action. Barbers are those “trained” in what qualify as the medical arts in the Dark Country. They are typically runaways from mercenary companies, though they may have also been employed by a noble family or wealthy merchant house. They can bind wounds on a 1-2 on a 1d6, restoring 1d6 hp. 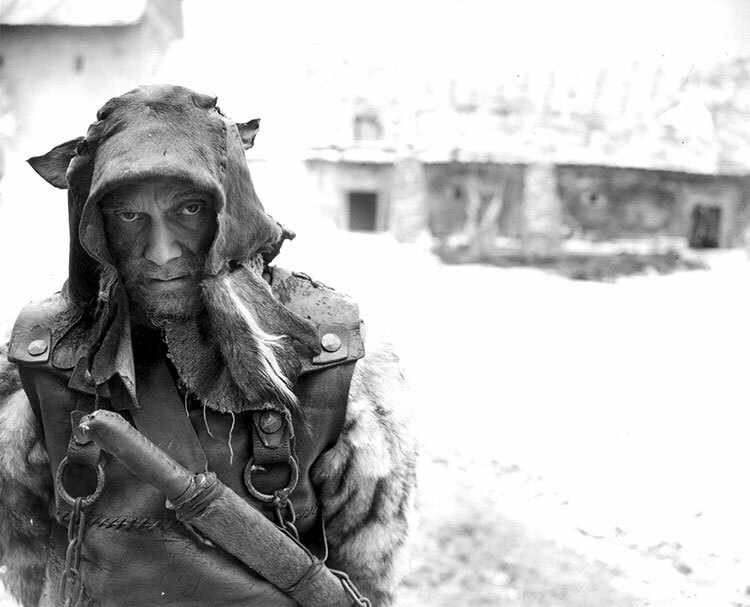 Brigands are either currently or formerly bandits. They typically employed as light infantry by the Seven Cities if they are capable of being hired. Conjure-Men are backwoods wizards of poor skill. They only know one spell - determined randomly - and my only cast it once per day. Fanatics are religious loons who have come to the Dark Country in order to participate in the holy war against the pagans. If following a cleric, they will gain a +2 bonus to their morale. Men-at-arms are comparatively heavily armed men of stout bearing. They gain a +1 bonus to HP and a +2 bonus to morale if following a fighter of 4th level or higher. Equipment: Polearm (70% chance of being a spear), shield, hand weapon, helmet, and a shirt of mail. Peasants are common settlers from the West. They typically have little to their name and little to lose. Equipment: Wooden hoe, an empty pouch meant for bread or coin, and misery. 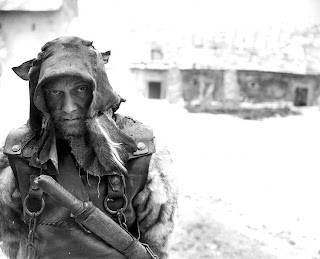 Woodsmen are those members of Dark Country society who make their living gathering forest products - whether that means felling trees, burning charcoal, or trapping for furs.